Today marks the fifth release of the ReactOS 0.4.x series, as well as the fifth following the 3 month release cycle started by 0.4.0 itself. Progress has continued steadily, with a great deal of work going on in the background to improve ReactOS' general usability and stability. Many of these improvements were on display at the FOSDEM convention in Brussels that took place on the 4th and 5th of this month. Certainly one of the more notable albeit less visible additions was the incorporation of basic printing support by Colin Finck. At present ReactOS is only capable of sending print commands to a parallel port printer, but this is the first step towards universal support and Colin should be applauded for his effort. A video demonstration of it can be viewed here. 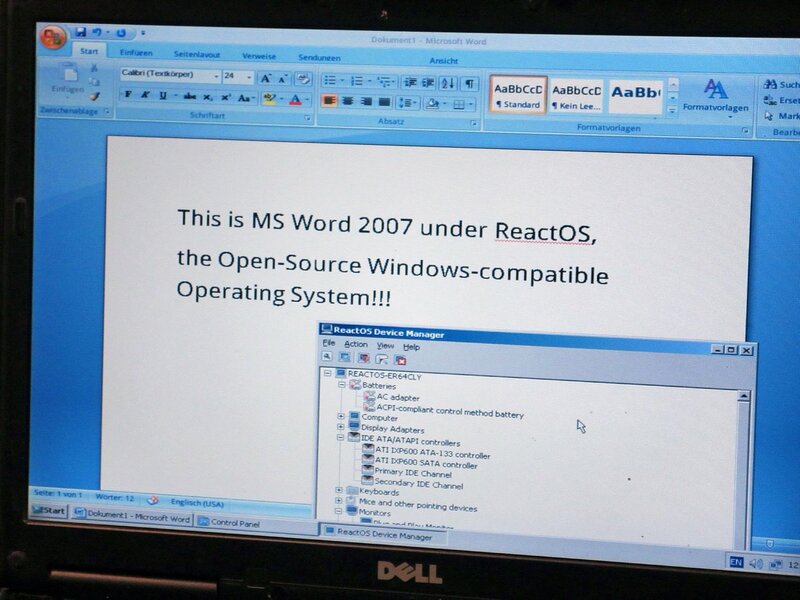 Another general remark can be made about the overal improvement of ReactOS in the following two photos. 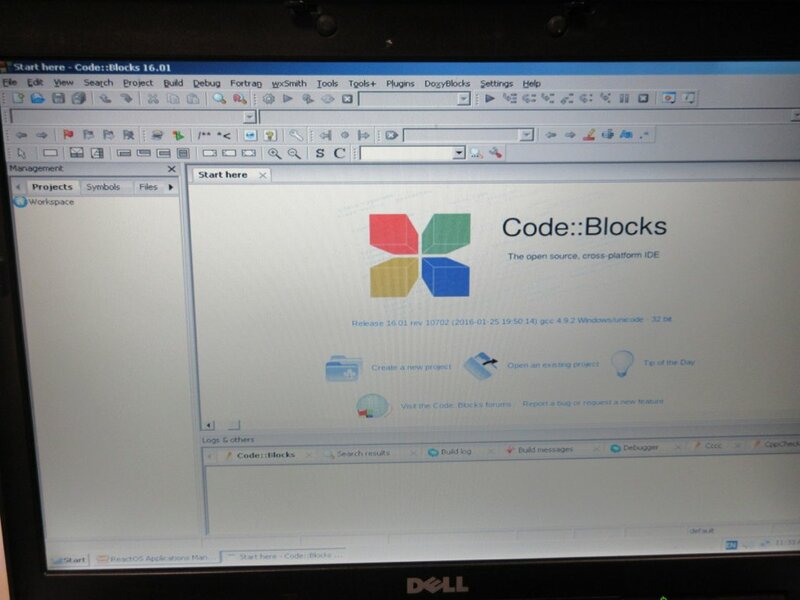 Here we have ReactOS running on real hardware, running what we can probably all agree are non-trivial applications. What is more, compared to the 0.3.x series the overall improvement to the actual rendering of the applications is also clear. Where in the past toolbars and buttons always looked visibly ajar or improperly aligned, here the menus and icons look much, much more correct. There are still some slight problems, but overall ReactOS is nearing the point where it is genuinely usable, not just merely tolerable. That, more than anything else, is something that the team is proud to have achieved. As usual, the general notes, tests, and changelog for the release can be found at their respective links. For those that want to try the releases, the bootcd and livecd images are available for your perusal.